So it’s starting to feel like Spring is actually in the air and the sunshine is really wonderful after so much rain! The last couple of weeks I have been lucky enough to be working with Dave Taylor on the Raynor Massage Certificate and Diploma Courses in Putney, teaching a fantastic group of people deep tissue massage techniques. I have been inspired and also learnt a great deal myself, which has been an unexpected bonus! Just before the course I was hit by a bug (there are loads going around at the moment) which got me to thinking is there a way I can build up my immune system to stop this happening because I loathe feeling ill and hate having to cancel clients. I remembered a podcast I listened to recently all about high level daily doses of Vitamin C, so whilst “dying” in bed I dug it out, listened to it again and then ordered the book! 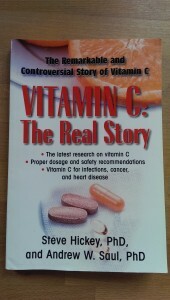 : Vitamin C: The Real Story by Steve Hickey and Andrew W. Saul. 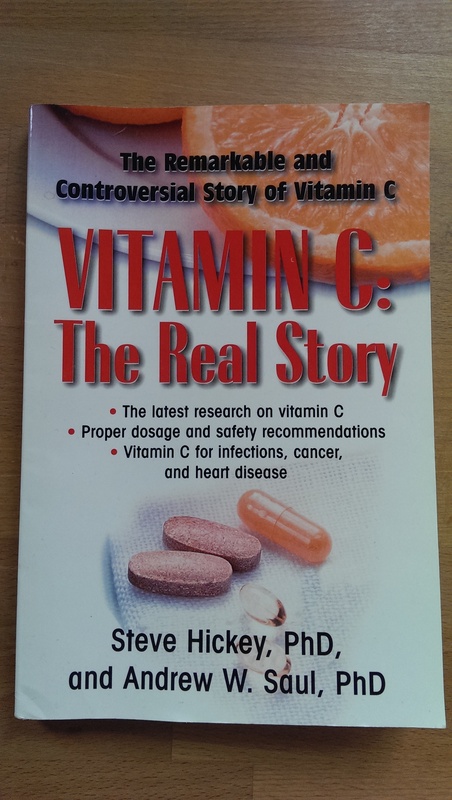 Since the 1930s when Vitamin C (or ascorbic acid) became commercially available pioneering doctors have been using high doses (sometimes more than 100 grams per day) to treat serious illnesses with amazing success. Humans are some of a very few set of animals (apes, guinea pigs, some bats and some birds) that do not make Vitamin C in their bodies and so need to consume it from diet or through supplementation. Vitamin C is a strong antioxidant, antidepressant, antibacterial and antiviral agent and is used by our bodies in many different functions. Vitamin C is very cheap to make and sell so this could be why there has been such a lack of research into using high doses to treat illness. No-one would make any money! As with much of this stuff it is all very well reading about it but it isn’t until you try it that you know for sure if it will help you so I started taking 200mg a day last week and am now up to 400mg. I have to say I am feeling great, but that might be down to a lot of different things so I will keep you posted on my progress!